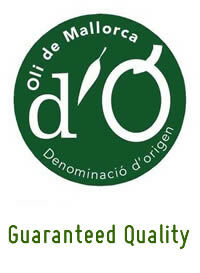 Oli de Jornets, extra virgin Olive oil D.O. 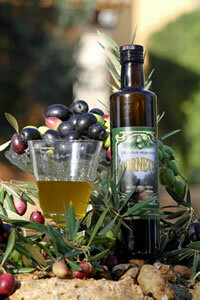 High quality Olive Oil from the Picual olive type. The Jornets family harvest the Picual Olive type in the town of Sencelles from 1998. This fruit with its flavor produces a slightly bitter and spicy Olive Oil with a high content of unsaturated fatty acids. With a prolonged storage, the oil becomes smooth in flavor. 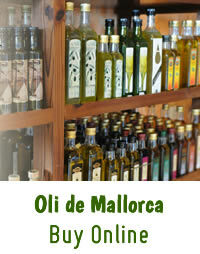 QUALITY GUARANTEE of Oli de Mallorca. "With its complex flavors (mint, green almond, avocado, artichoke, banana, later tomato) and its delicate peperoncino- and fine carnation shades ..."